Over recent years, the American people, and particularly Californians, have accused Nestlé of greedily sucking the drought-stricken state dry with their monopoly over water resources. The two-year investigation concluded that approximately three-quarters of the water taken by Nestlé, known for its Arrowhead and Perrier brands, require permits the company has never held. This equates to billions of gallons of water stolen over six decades. According to the law, if an individual was accused of similar actions, a prison sentence would follow. Nestlé, on the other hand, has been told to simply apply for a new permit to conform to California water diversion regulations. Arrests have not been made and it is uncertain if the company will face fines. The corporation, guilty of stealing water essential to the balance of wildlife in the San Bernardino National Forest, has received a generous timeline to conform. The investigation was initiated in 2015 after the Desert Sun newspaper reported on the devastating environmental impact of Nestlé’s large-scale water diversion. The report claimed the corporation’s lack of water rights to siphon the spring waters from the rocky canyons was overlooked; that in fact Nestlé’s permit to transport water expired in 1988. The warning and investigation, however seems to have fallen on deaf ears. Although the Water Board has made claim that Nestlé is not able to satisfactorily clarify its basis for mass water diversion, Nestlé continues to operate; with a 60 day timeframe to submit a compliance plan. 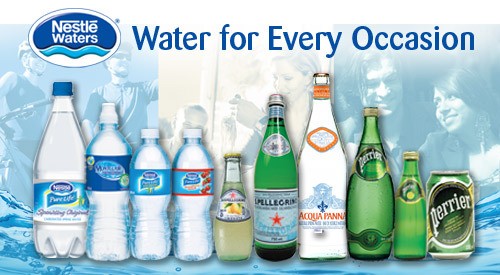 In a letter to the corporation, Nestlé was told to cut back on its water intake. The letter, Nestlé said, would have an impact on the company but to what extent, it is too early to tell. Nestlé also confirmed that it was happy with the report validating its right to withdraw water from the springs, making no mention of their past discrepancies. Environmentalists who have argued against Nestlé’s rights to syphon California’s ground water during a drought say this is a big win for them. However, the track record of the state government’s relationship with the giant corporation leaves more to be desired. Currently, history is repeating itself with the board leaving open the possibility of Nestlé continuing its behaviour while further permits are pending. Nestlé has only been caged momentarily, until their latest permit is rubber stamped and approved.